Bob Kramer EUROLINE Stainless Damascus by ZWILLING J.A Henckels unites premium knife craftsmanship with sleek elegant designs. The exquisite Chevron Damascus blade is complemented by a stunning black-brown linen Micarta handle with the signature Bob Kramer mosaic pin. 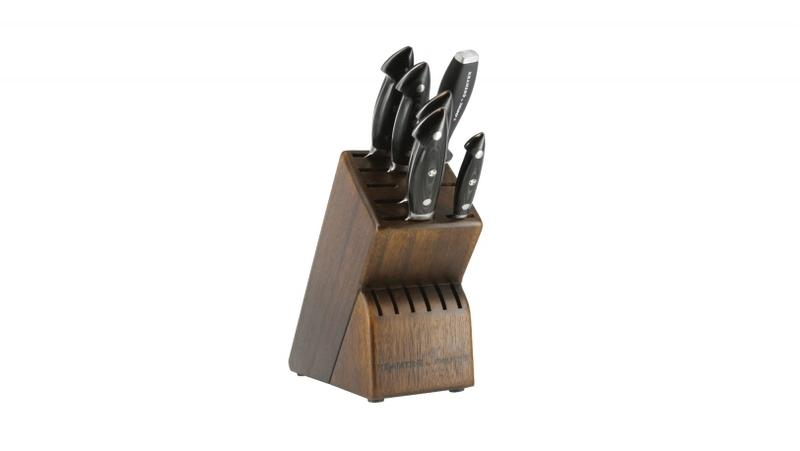 Consist of: 3.5-inch Paring Knife, 5-inch" Utility Knife, 8-inch Chef's Knife, 9-inch Slicing Knife, 9-inch Bread Knife, 12-inch Sharpening Steel, Bob Kramer Traditional Block.